The opening refrain of the famous James Brown song It’s a Man’s World goes like this. Barely a week goes by when there isn’t an article alluding to the glass ceiling and the gap between what men and women are earning for, what is in effect, the same job. It has been a feature of some workplaces, especially ones that I have managed to look to positively promote and mentor women to help bridge the gap. It’s often referred to as affirmative action. Indeed I am proud to have appointed the first female Finance Director in MODA (The Saudi Arabian Ministry of Defense and Aviation) in 1998. But recent events have me thinking that perhaps it’s the boys now who need a ‘leg up’. I attended the recent Queensland Training Awards as a sponsor and was delighted to see the talent pool of young people who are going to be the backbone of our State and the country for that matter. It was a glittering night and the behaviour of all concerned was exemplary. It fills me with a lot of confidence that maybe Australia can make the transition from the ‘lucky country’ to the ‘smart country’. What was noticeable on the night was the number of girls who were finalists. In fact it seemed startling. Not just the jobs where one traditionally might have seen women e.g. childcare and hairdressing, but jobs that have been historically mainly the domain of men e.g. civil construction. It seems that the girls are now forging ahead. My assessment of young women versus young men (admittedly only a sample involving the peer group of my daughter and my son) is that the young women are so much more together. Their sense of time, organisational skills and planning is so much more advanced. Attend any school formal and you will see a gulf in sophistication between the young men and young women. Keeping in mind for the boys’ school formal that a lot of the young women are Year 11 then the gulf seems even wider. According to the ABS in recent years the girls have been outperforming the boys in reading and maths and are more likely to go on to university. Somehow, somewhere the boys though outstrip the girls when the career really starts to kick in. The obvious answer is the ‘lost’ years (in career terms) for child rearing or carer roles. However I don’t think this totally explains the crossover in fortunes between university and careers. My observation of young men and women suggests that the attitude to one another and how each communicates may be also part of the explanation. I can recall picking my daughter and her friends up one night in her year 12. I could barely hear myself speak with the gaggle of conversation each talking over the top of one another but actually somehow listening and taking in multiple threads of conversation. A few years hence and the other night as I picked up a similar cohort of young men in Year 12 as they emerged from the Kanye West concert. They appeared to be communicating with one another in some sort of brief code in a language they had developed for themselves and via the occasional text. Telstra or whoever their mobile carrier is would be pleased! What men do do well though is turn what they have by way of communication skills into a means to assist one another in the business world. Interactions are often an exchange of favours to mutual advantage, taken either at the time or held for later redemption. Women tend to communicate and come together for mutual support. When women understand and refine the skill of networking for career advantage then it’s all over for the boys. For many, women do seem to outstrip the blokes. If we think politics and therefore policy-making then the recent treatment and perceived lack of success by our first female Prime Minister Julia Gillard might suggest that in the political domain, at least, the men still have it over the women. But if we think of politics at a global level some of the ‘great’ or most memorable political leaders of recent times have been women e.g. Margaret Thatcher, Golda Meir, Indira Gandhi, Angela Merkel, Mary Robinson, Madeleine Albright, Helen Clark, Benazir Bhutto and the incomparable Aung San Suu Kyi. Aside from Obama, can you think of anyone within the male domain who has lived up to expectations: Berlusconi, Blair, Bush? I rest my case. While watching the program Brilliant Creatures on the ABC on Tuesday night about the four great expats (Clive James, Robert Hughes, Barry Humphries and Germaine Greer) I reflected that while they have all punched well above their weight, it is only the woman of the bunch, Germaine Greer, who has left an indelible mark on an entire generation. So you can see a pattern emerging here. Those programs designed to scaffold our young women and support them through their education and careers might well need to be directed to their male counterparts instead. 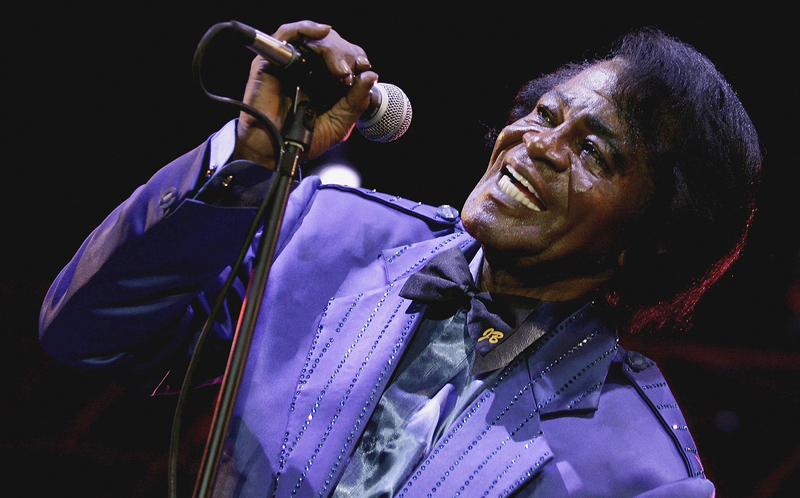 If we look to the Godfather of Soul for enlightenment we might find some in the following lines of his song….. Without a women or a girl. Do your bit. Give a young man a leg-up whenever you can. I recall from younger days when I had time to read that Leopold Bloom in Joyce’s Ulysses revelled in the sound of words. One of his favourites was the word foetus which he just loved the way it sounded. The harmonic of it is very suggestive. And so it is with the word ‘no’. It is a powerful and beautiful word and one that has had a bad rap over recent years. Listening to ABC Radio National this morning I heard Fran Kelly interviewing a social media expert from the United Kingdom about the referendum in Scotland. He commented that social media has a bias to yes and positivity and can be quite unforgiving of any no bias which runs counter to the current cult of ‘affirmation at all costs’. Those of us who have raised children in the post Dr Spock (think Paediatrician not Vulcan) generation have very much used affirmation as our under-pinning principle. Heaping praise on a developing mind has been seen as a good thing. This approach to child-rearing has not unsurprisingly made its way into managing people. In fact I’ve often heard it described as the ‘compliments sandwich’, especially in relation to performance appraisal. As tantalising as this approach sounds on the surface, we know from research that the recipient of a few compliment sandwiches in their time will filter out the ‘compliment’ bread and just concentrate on the ‘areas for improvement’ filling. Those new to the approach will be so enamoured of the regard in which they are held, will likely filter out the filling while still wallowing in the ‘compliment’ bread. This calls to mind my daughter who at around the age of one burst out crying when I told her ‘NO’ to stop her putting a fork into an electrical socket. The emotional response to this seemed way out of proportion to the stimulus, until I reflected that it was the first time I had ever said ‘no’ to her. It seems that I too had succumbed to the cult of affirmation. So when considering the Scottish referendum (and especially through the prism of social media) the ‘NO’ camp have had a hard job to do. Perhaps a better message than the NO would have been vote YES – to stay in the Union. Obviously those worried in the NO camp by poor levels of literacy and comprehension in their population have shied away from a message that required the voter to choose between ‘yes’ and ‘yes’. Misunderstanding at the ballot box in any numbers would hand the victory (and the spoils) to the YES for independence camp. So the retention of the Union (NO) camp has had to bear the mantle of the naysayer, the negative, the Luddite. In the latter stages of the debate approaching the referendum the intelligentsia and the artistic elite have come out pretty much in favour of independence. It is must easier to rally around nationalistic images of Scotland’s greatest leader (Mel Gibson) than it is to swallow another prosaic diatribe from Gordon Brown, or the appropriately named old Tory Alistair Darling. The intellectual elite are always going to have a bias to independence; especially in the arts community, which by default requires an independence of thought and a confidence in one’s own ability…pretty much the platform of the YES campaign. Yet at the end of the campaign and at some distance I am none the wiser as to whether a YES vote will take Scotland down the path to financial wrack and ruin or be the stimulus for an unparalleled period of economic, social and artistic ferment. Part of the reason for this I think is because we have been fixated with the stereotyping of what it means to fall into one camp or the other. Social media, by all accounts, has failed to provide much depth to the debate. In fact some pundits have said that the quality of the debate would have been much better had it occurred in the 1940s before the advent of television. No-one can tell my wife now (who holds a British passport because of her Scottish father) whether she gets a Scottish passport on the delivery of a YES vote. As a proud Scot, retention of a British passport (whatever that means after Thursday) without the essential representation of Caledonia will cause her much angst. Without answers to fundamental questions is it wrong then to vote for the negative? Will Scotland be forever remembered as a nation who were so dour that they couldn’t even vote to free themselves from the shackles of the English? If you recalibrate your feelings towards NO then maybe a vote to stay in the Union can be a positive thing. ‘No’ isn’t always bad. As a word it can have a simple beauty. We said NO to Hitler. 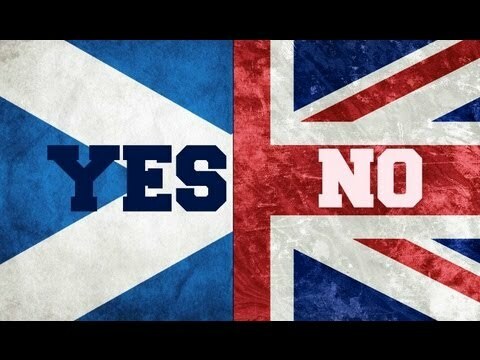 We are saying NO to Islamic State (IS), although perhaps ironically not Scotland after Thursday. Luddites have historically been considered a very negative group and the word has heavy pejorative overtones. Those in the NO camp have had this description levelled at them on many occasions. A closer examination of the Luddite movement actually reveals that they were a socially progressive people concerned with the disconnection between man and the fruits of his labour, a primary concern of Marx. In fact the Luddites and the Scottish people have a lot in common. A socially progressive people, Scots are also very proud (although are they really prouder than the English, the Welsh or the Irish?) and like to do things their way. Their senses of community is strong and the push for socially ambitious ideas in relation to the world of work and education are features of the Scottish people. At a geo-political level doing things on their own without interference from Westminster is what underpins the YES campaign. At a macro level, in terms of management (after all this is what my blogs are about), this could mean working without oppressive oversight or supervision, like for example, working from home. Wasn’t that what the Luddites were fighting for all those years ago? Be happy being a Luddite. Embrace the beauty of NO. Keep Scotland as part of the Union. After all its the progressive thing to do! 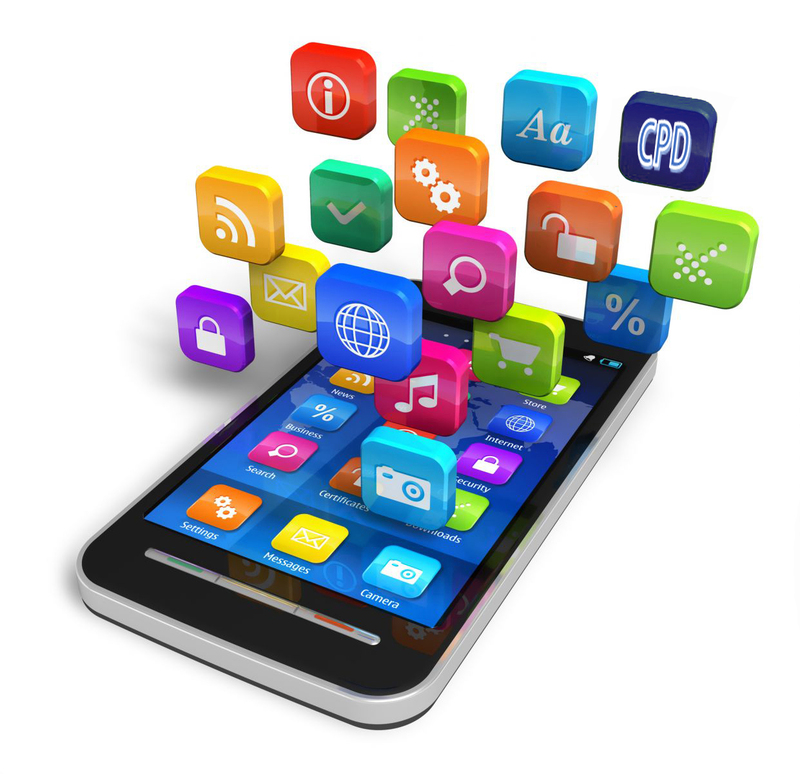 The current Holy Grail in management is finding the app that hasn’t been written. So far my search for one such app (I’m kind of reluctant to let you know what the subject is given that someone will go out and write it snatching my IP and tens of dollars in royalties out from under me) has proved fruitless. There was the Industrial age, the Nuclear age and now it would appear we are in the App Age. There are the app-savvy (the kids who also knew the coolest bands), app-envy (jealousy over a person’s app which just seems to do everything you wish your equivalent app would do) and the app-alations ( a range of mountains in the north east of America). That said, my blog runs out of steam unless I give an insight into what needs an app (and we need it NOW). I belong to quite a few professional organisations. It’s a man-thing; like collecting tools in your shed. You can add but you can never throw an old one out to make space for the new. Actually this tool analogue is working well so I will stick with it for the time being. Just as tools need to be kept in good working order, so one’s professional memberships need to be well oiled and ship shape. As with anything of any gravitas, in management it has an acronym which is CPD. That is continuing professional development. And on the face of it is isn’t unreasonable. You want your surgeon to he across the latest techniques after all when he or she is about to cut you open. But if you have been a free-wheeling managerial gypsy like me, picking up a rag-tag of professions along the way, then you are faced with the annual spectre of ensuring your CPD is up to date. The first challenge is remembering who has what points and then when are they due. If you have two professions with the same CPD reporting period then the final month for CPD renewal can be a mad frenzy of booking into a range of events (many of which of only marginal interest) in order to cross the magical line. Never again, you pledge, but by the time you get back to the office your commitment to being more organised either dissolves or is forgotten. The professions who insist on CPD for the retention of post-nominals do so from a fairly lofty position. But professional organisations need to be wary of conflicts of interest. The satisfying of CPD through expensive courses provided by the very organisation insisting on them, can appear at times to be anti-competitive. Some who organise it such that their annual conference is a way to cover most of your CPD obligations in one fell swoop can be a bit overly-congratulatory when – guess what – their conference is really well attended, but singularly poor in content by comparison. I made some hurried calls the other day to find out when the deadlines were for my 6 professional bodies. On calling the Australian Institute of Management (AIM) I was initially relieved to be told that they do not have CPD. After hanging up however my evaporated. Why is it that this profession some of us call management doesn’t have any requirement to have its membership keep up with latest trends? Believe me there is nothing more fast-changing than the world of management; and it touches practically everyone’s lives. Surely we owe it to all those within our charge to keep abreast of what’s happening, even if it is to consider then reject (there are more fads in management than probably any other profession). So here is my message to some digital savvy app writers. Can you please write an app that seeks out all my CPD requirements from the various professions and monitors and prompts when the time is right? That way I can rest easy allowing my i-phone to do all the heavy lifting. And to my friends in the management profession, let’s make sure we app-ly latest thinking to keep our team members happy and focussed. 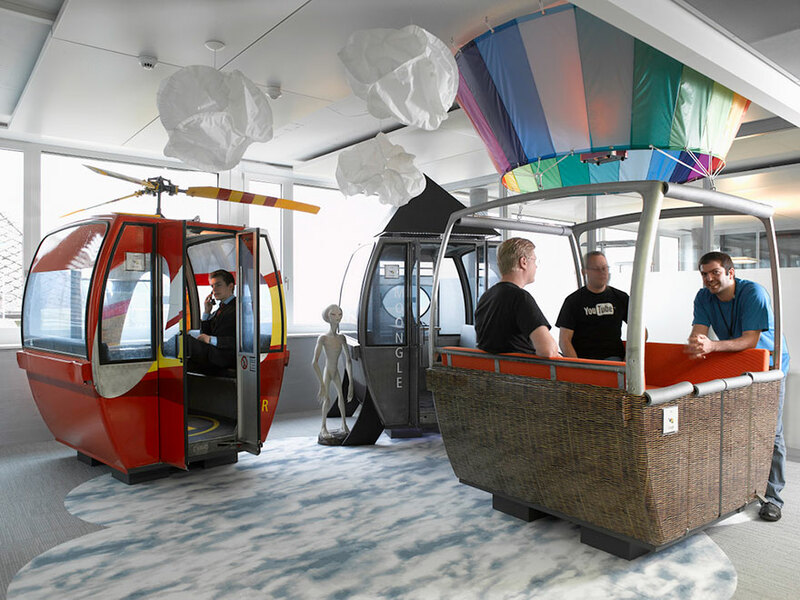 My good friends at PDT Architects sent me a link to the 12 Coolest Offices in the world. My immediate reaction was one of disappointment given that one can’t help but compare the best of the best with your own situation. Let’s face it, most people aren’t going to make it to the Voice final even if they sing ok in the shower and so it is with ‘groovy’ offices – most of us aren’t going to work in one in our lifetime even if we are great employees. But then I got to thinking….what is the half-life of the attractiveness of the office environment in terms of job satisfaction? I’m not convinced the physical surrounds can contribute to job satisfaction at all. I think it can lead to job dissatisfaction however if your office falls below certain standards. 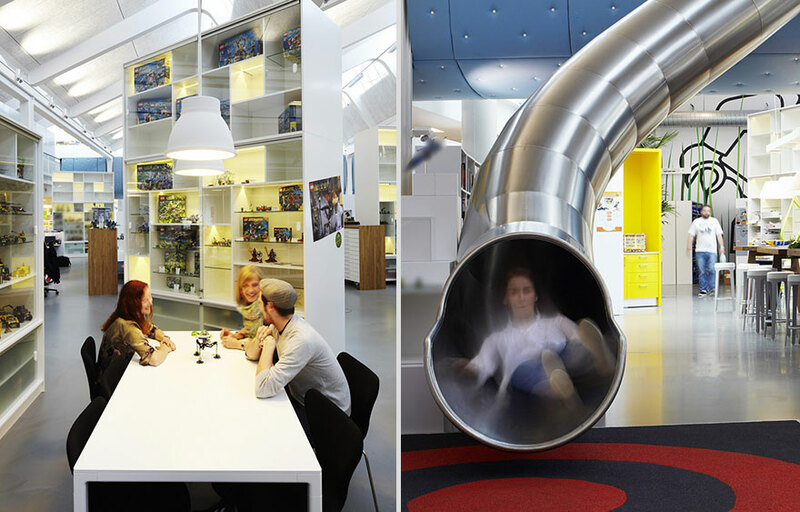 Cool offices come at a price. Browsing through the pics I could tell that the fit-outs were mega expensive. Perhaps this is good as it sends a clear message that you are valued as a team member (aka talent). But perhaps there is a dog whistle here as well. Perhaps the employer is really saying that if you want to work around here you had better be pretty cool and groovy as well. It’s damned hard to get into Google and hard to keep the job as well. There are plenty of digital natives chomping restlessly at the bit if your creative juices show any signs of drying up. Not everyone can be creative and cool. Not everyone was in the cool group at school. For the world of business to work you need the steady, the methodical, the reliable…..hell even the fastidious. And here in lies the rub. If all this money has been spent, and it’s such a nice environment (most probably nicer than the flats the talent lives in when out of work mode), then maybe you don’t want to go home on time, or are a little scared of going home. For example I saw one wall clock in the entire suite of pictures. Not many knocking off on the stroke of 5 o’clock at these offices methinks. So maybe the design and fit-out cost is recovered in other ways through longer hours. There may be more F W Taylor (think Gradgrind) at play here than Elton Mayo. The key to a productive and seductive workplace is the culture within and not the Petrie dish in which the culture grows. The saying goes that ‘a fish rots from the head’ so the CEO and Board set the culture and presumably the creation of a vibrant and cool workplace is part of this. A culture of creativity is created through the creative surroundings? However I cannot recollect those who roll this line out ever successfully explaining in what ways an organisation resembles a fish. I would have thought if we are looking for a flora/fauna analogue then a tree fits the bill much better. Guess what – a tree rots from the roots! So the culture can be very much influenced by the team members. Creating a culture of encouragement and diversity from the bottom up is likely to pay better dividends than some expensive fit-out from a design team unencumbered by cost or taste parameters. And quite possibly your team will all leave by 5pm, happy, but also armed with the knowledge that in the history of work no job has ever loved anybody back. That will satisfy more than an afternoon whooshing down Lego’s flume. 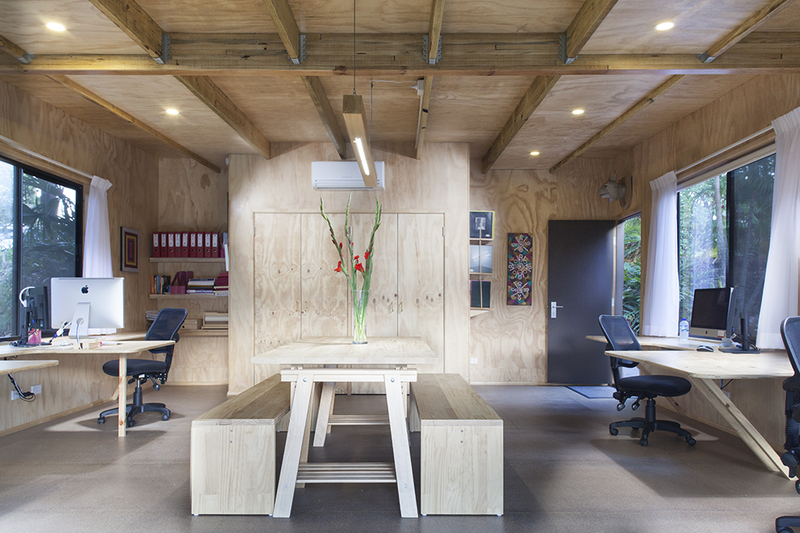 If the concept of the cool office still has you in its thrall and after all if you were given a choice … then there is a very good example on the Sunshine Coast – home to our creative colleagues POMO. Very much the G in groovy.